Elections can get pretty nasty and below the belt but the latest UKIP Jelly Baby scandal takes tactics to a whole new level. Sold on Amazon, the products offer “politically aware” Brits the “chance to bite the head off a UKIP baby” and gobble up all their favourite flavours. In the wake of the products hitting Amazon shelves Choc-Kits, the product’s tongue in cheek manufacturer has been forced to deal with public controversy. Much like the UKIP party the Jelly Babies have had mixed reviews, with some people interpreting them as a flippant joke while others have taken serious offence. Want to bite the head of your very own UKIP jelly baby? Choc-Kits is retailing the product on Amazon for £5.50 for 180grams. 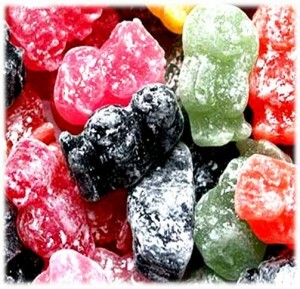 They may be novel but they certainly aren’t cheap, with the average bag of Bassetts Jelly Babies costing 77.9p per 100 grams. Who would have thought that a tin of sweets could make political headlines? Do you think food manufacturers should use their power to speak out about politics? Our food supply chain is facing ever more threats from criminals and fraudsters.